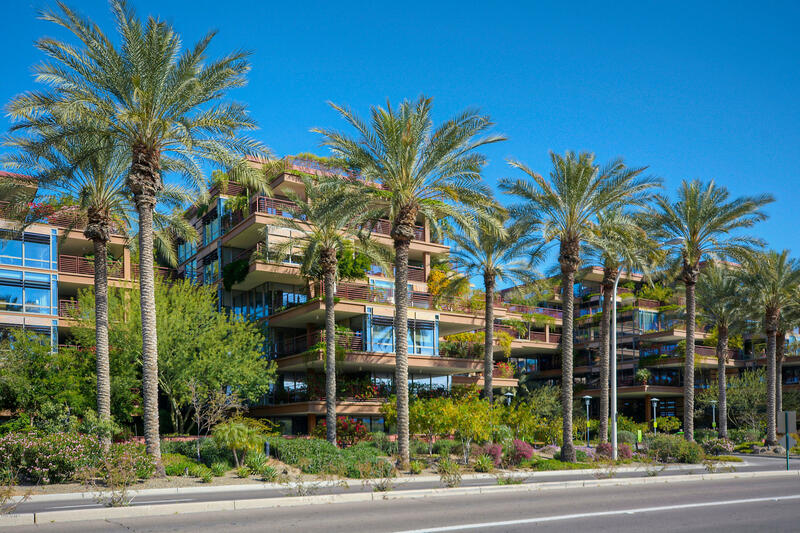 All OPTIMA CAMELVIEW VILLAGE homes currently listed for sale in Scottsdale as of 04/24/2019 are shown below. You can change the search criteria at any time by pressing the 'Change Search' button below. 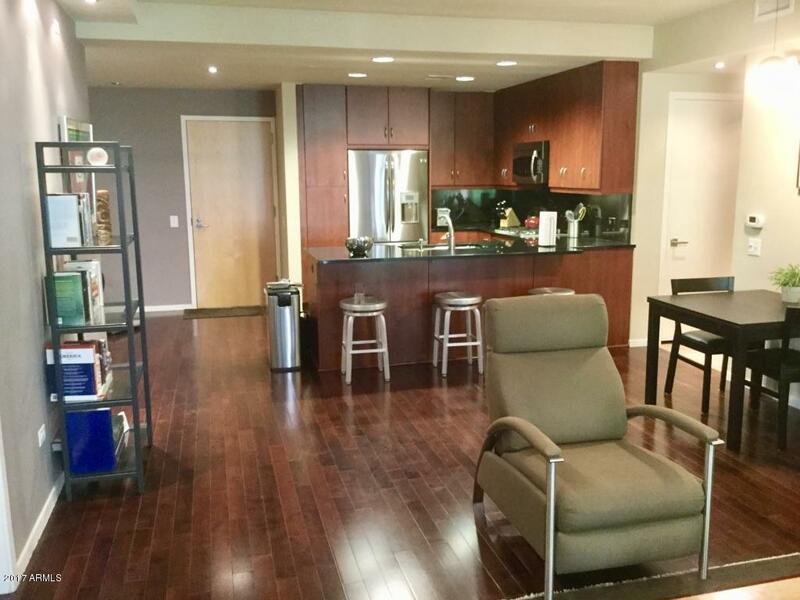 "WONDERFUL OPPORTUNITY TO OWN THIS BREATHTAKING OPTIMA URBAN LUXURY CONDO! 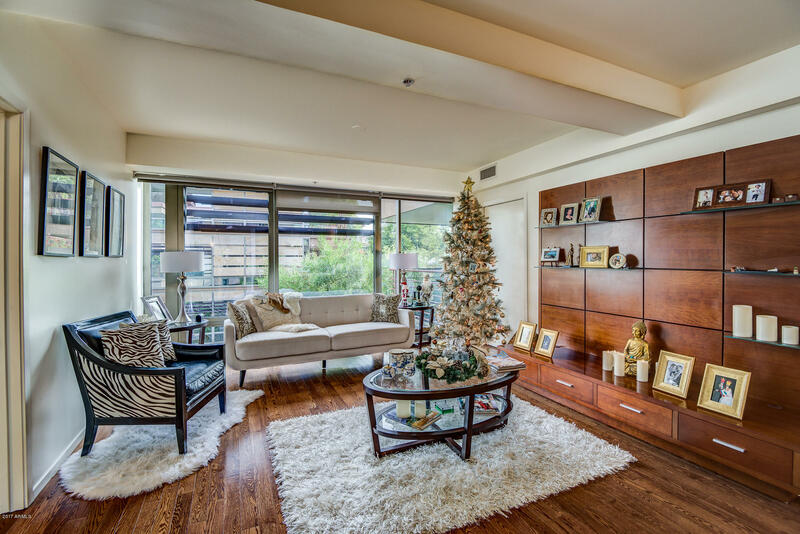 THE SELLER'S METICULOUSLY TRANSFORMED TWO SPECTACULAR UNITS INTO ONE! FROM THE MOMENT YOU ARRIVE AT THIS STUNNING RESIDENCE, YOU ARE IMMEDIATELY IMMERSED INTO A MAGNIFICENT SPACE FILLED WITH VIEWS, NATURAL LIGHT AND ABUNDANT ARCHITECTURAL BEAUTY. THIS REFINED HOME BOASTS MODERN CONTEMPORARY CABINETRY THROUGHOUT. CHEF'S KITCHEN WITH OVERSIZED ISLAND, GRANITE COUNTERS WITH SEATING FOR SEVEN CREATES A WARM INVITING SPACE FOR "
"Welcome home to a place where warmth and elegance merge in a spectacularly designed large spacious double master suite private corner unit. 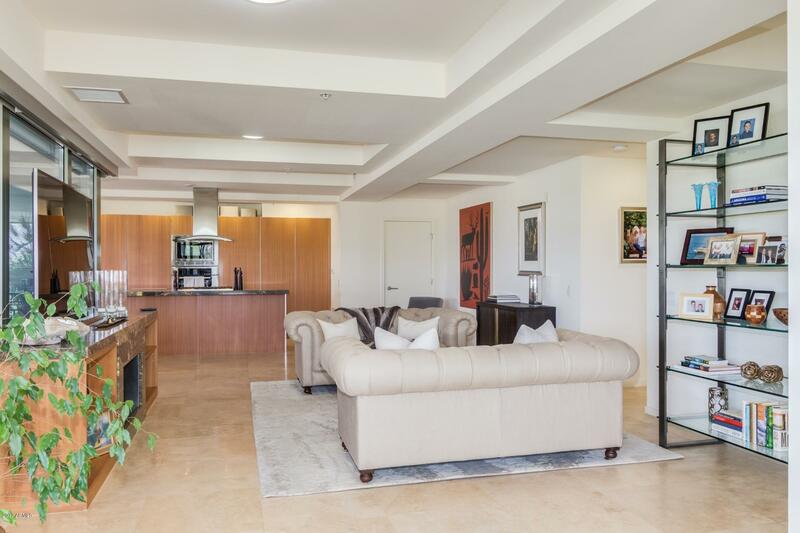 The fully renovated huge entertainer's kitchen is a masterpiece with high-end stainless-steel appliances, luxury refrigerator, wine refrigerator, superior granite countertops and a chef's center island that overlooks the large private family room with glass doors opening to the secondary terrace. The spacious dining room and elegant living room are surrounde"
"LOCATION, LOCATION, LOCATION! This turn key rare 7th FLOOR PENTHOUSE at the Optima Camelview is tastefully remodeled and features three bedrooms and three bathrooms with the best floor plan! Walking distance to all of the shopping, dining, and entertainment you could need! TWO private patios that are perfect for entertaining and enjoying the city and mountain views. Enjoy the indoor pool, outdoor pool, fitness center, Metropolis wine bar, putting greens, on site dry cleaner, and much more! 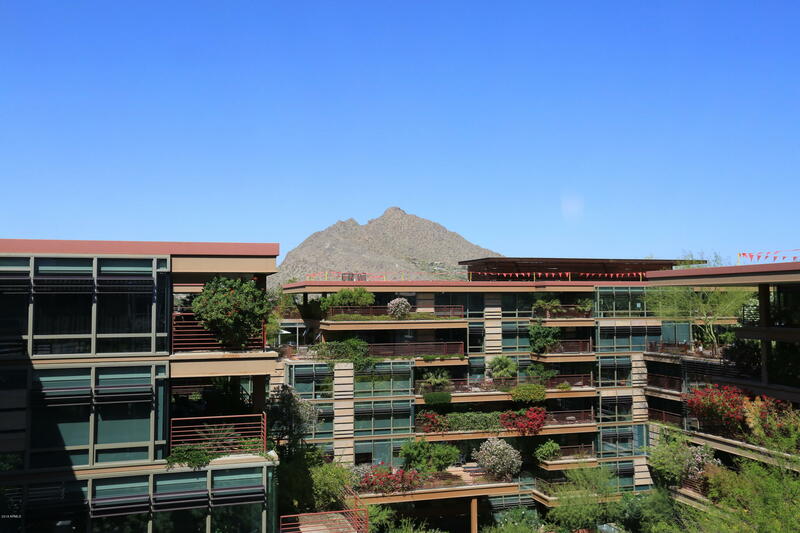 Unit "
"High rise living at its best in this stunning penthouse that is nestled in the amazing city of Scottsdale! This community offers a pristine pool/spa, workout facility, on site guard, concierge, indoor sports court-the list goes on and on! Upon entering this home, you are greeted with tons of windows that allow for beautiful natural light throughout! 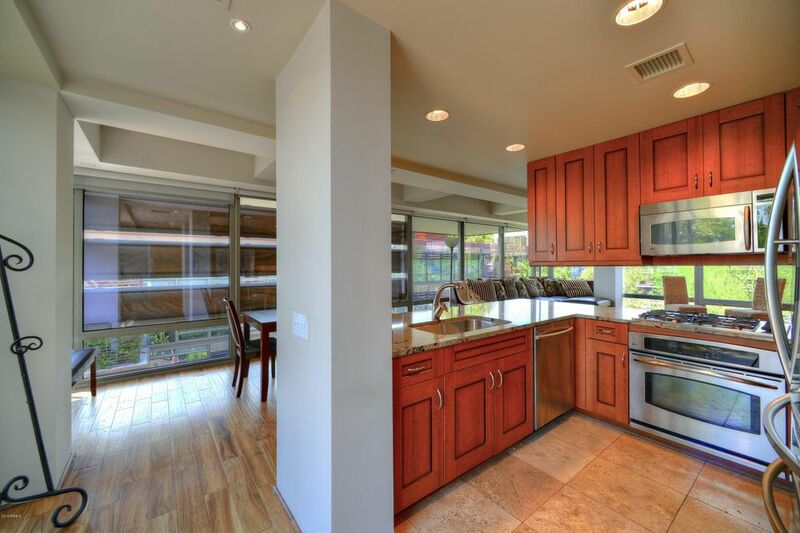 The island kitchen boasts granite countertops, tons of cabinetry, 2 wall ovens and a breakfast bar. The 2 spacious bedrooms offer plenty of room for"
"Luxurious 3 bedroom plus office, 4.5 baths featuring 2400 sf. There are 2 Master Bedrooms and a guest room. The Main Master showcases 2 walk in closets, and a his and hers bathroom! Nicely upgraded, large laundry room, powder room, formal dining in the Great Room, breakfast bar, and 2 terraces. Expansive courtyard and pool views. Light and bright. Tons of storage!! 2 underground parking spaces. Fabulous spacious floor plan and a very desirable location! 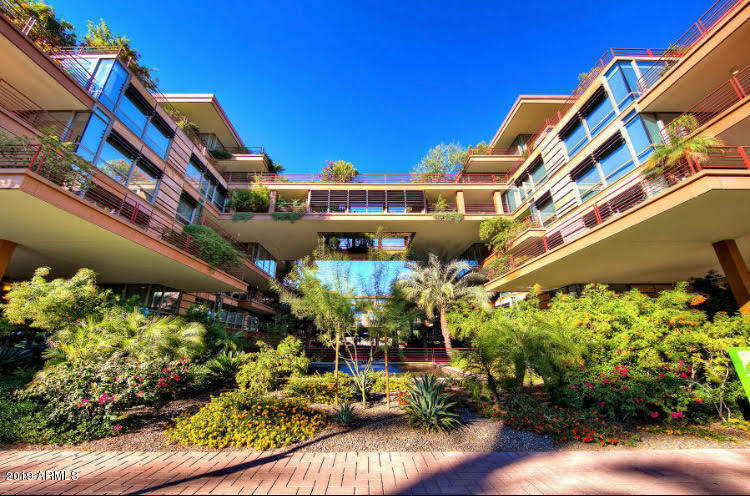 Located next to Fashion Square and minutes"
"Welcome to what is simply one of the most incredible condominiums in Arizona. 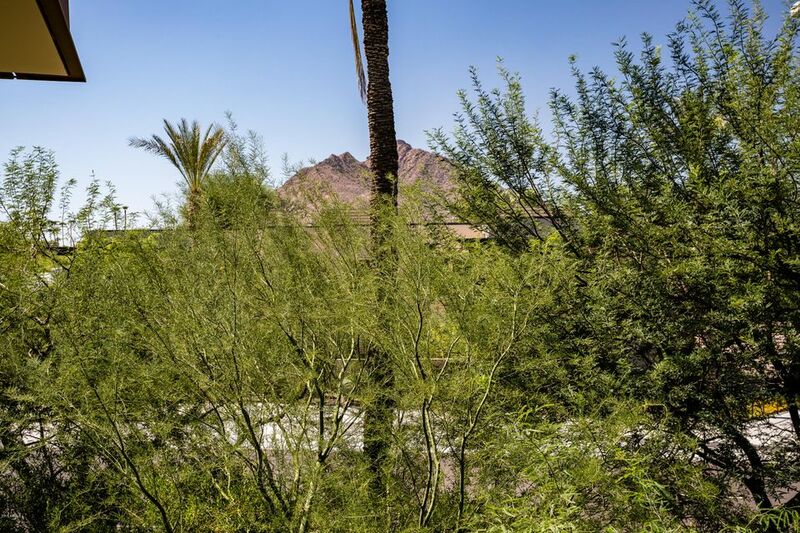 This 2 Bedroom + Den, 2114SqFT masterpiece boasts breathtaking Camelback Mountain views from every room. With over 1600SqFt of patio space, it's the perfect unit for entertaining and relaxing (featuring a rare built-in gas fire pit). Exquisite finishes can be found everywhere, with one of a kind upgrades such as fingerprint scanner security, built in humidifier, heated bathroom floor and a modern glass fireplace. Th"
"Rare 6th Floor 3 bedroom, 2 bath home featuring top of line ''Platinum Package Finishes'' & Amazing Must See terraces. 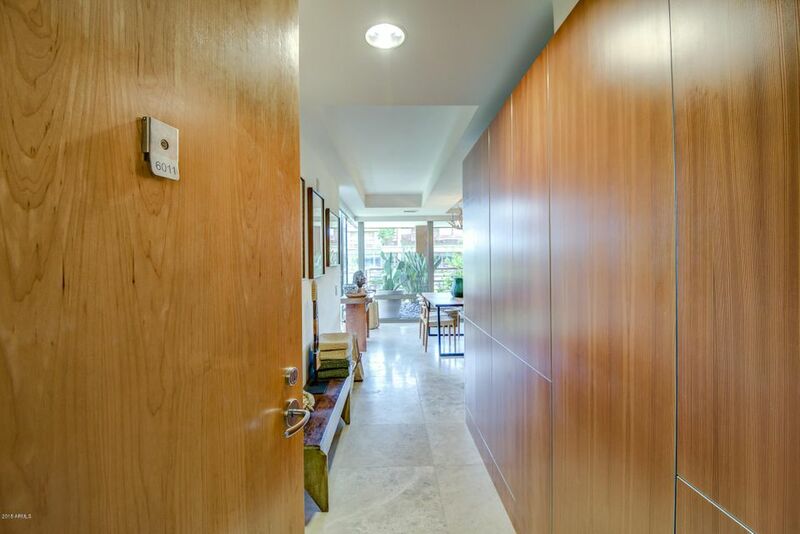 Airy, Light Filled Modernist open floor plan w/ 24x24 travertine flooring throughout (no carpet), sleek automated shades. Gourmet kitchen with European cabinetry, Sub Zero Refrigerator & Wine Cabinet, Bosch appliances. Covered terrace off great room with pool and architectural views ideal for entertaining. One of a kind Master bedroom opens to huge ''garden'' terrace. Luxurious "
"Rare opportunity to own a PENTHOUSE at the Optima Camelview . 2 master suites plus office, 3 nicely landscaped patios with amazing views! Tastefully upgraded throughout , chefs kitchen. Optima offers 24k fitness center, outdoor and indoor pools, dog park and lush, tropical landscape. Ideal location - walking distance to fine dining, world class shopping, art galleries entertainment and night life JUST REDUCED- MOTIVATED SELLER!! Best value in the Optima!" "Experience the art of urban luxury condo living with this completely renovated unit within the award winning Optima Camelview Village, featuring lush garden landscaping! 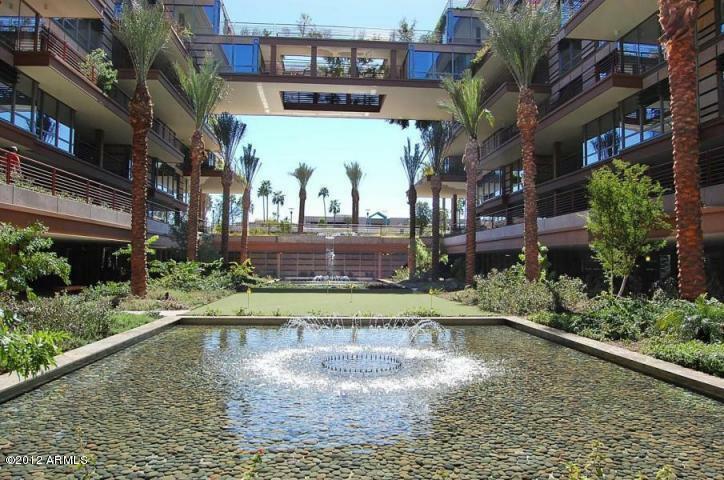 This 3 bedroom and 2 bathroom condo is located on the 3rd floor, with the only glass hallway that overlooks the entire center courtyard, lush gardens, putting green and fountains. Furniture is available on a separate bill of sale upon a successful close--perfect for 2nd Home Owners! Glass-on-glass windows in the master bedroom p"
"Price Improvement..Really Great Value!!! Investors or 1031 Exchange? Built in Tenant until Feb 2020 at $5k/month! Owner/Agent makes this easy to negotiate. TRUE 3 bedroom with amazing south views & huge Patio! GORGEOUS & MODERN! 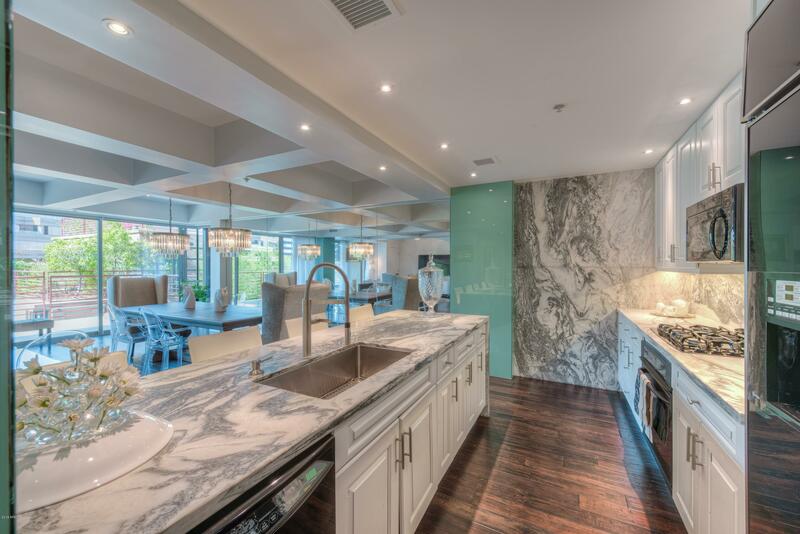 Professionally designed with custom hardwood floors, contemporary kitchen with granite counters, stainless steel appliances, floor to ceiling windows throughout. South facing PRIVATE terrace w/ LUSH landscape! TONS of natural light..amazing sunsets! Custom bathrooms "
"Luxury living in Old town Scottsdale!. Awesome unobstructed views throughout home with incredible natural light, two private patios & 2 premium garage parking spaces included!! Three generous bedrooms and two recently updated baths. Beautiful travertine floors throughout the space. Custom chef's kitchen with Italian poliform varenna cabinets and Miele appliances. Newly remodeled patio directly off the kitchen with new Italian ceramic tile and fresh landscaping. 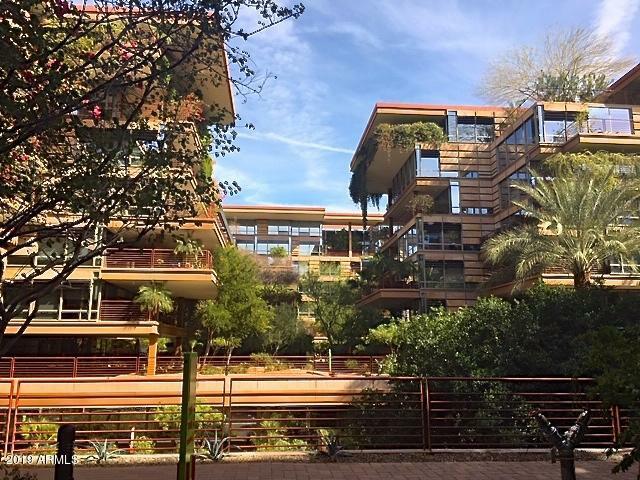 Amazing loft living in desired O"
"Welcome to Optima Camelview Village, resort style living with lush tropical environmentally friendly landscape located in the heart of Scottsdale. Beautiful functional and elegant 2 bedroom, 2 bathroom unit features travertine tile, high-end finished maple cabinets in the kitchen and granite counters in both the kitchen & bathrooms. Bright and open floor plan with floor-to-ceiling windows and mechanical remote controlled sun shades. This unit includes secure underground parking with 2 parking sp"
"Beautiful Light and Bright 2 bed/2 bath on the 3th floor. Travertine flooring is enhanced by floor to ceiling windows. 2 Landscaped terraces off of great room and dining area provides wonderful space to relax or entertain. Mountain Views. Kitchen has all upgraded features of granite countertops, richly appointed cabinets, stainless appliances with gas cook top. Community amenities include fitness center, indoor lap pool, basketball/racquetball crts, onsite concierge, dry cleaning pickup/delivery"
"EXCLUSIVE Optima Camelview END UNIT. LARGE 2 bedroom and 2 bathroom unit on Private floor. Only has 2 other units on the floor. 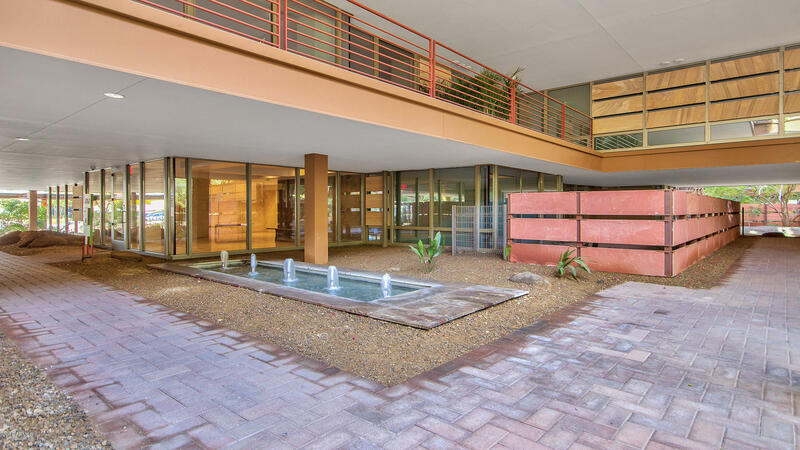 This interior condo location is perfect for privacy and to enjoy the calming courtyard. CUSTOM UPGRADES throughout. TRAVERTINE floors, white cabinetry with a Stainless Steel appliance package includes GAS Cook top. ENTERTAINERS living space. OPEN Kitchen and Living room along with large dining area. Dining Area has a gorgeous $10,000 Swarovski crystal chandelier. Upgrad"
"Discover a dynamic landmark to architectural beauty and refined urban living at Optima Camelview . 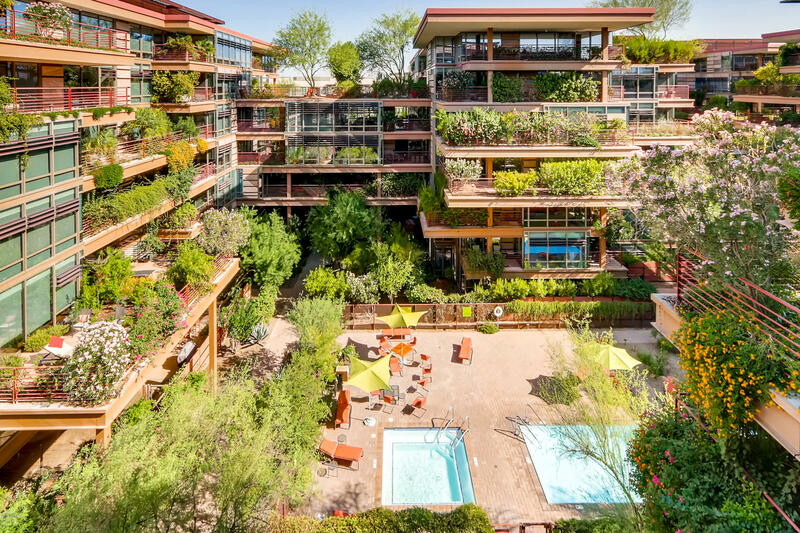 An exclusive address in the center of downtown Scottsdale unlike anything you have ever seen before. Where blossoming private terraces climb to gardened rooftops in the sky. Floor-to-ceiling glass walls fill your living space with an ever-changing panorama of glowing daytime mountain ranges and star-filled nighttime skies. Sophisticated recreation and relaxation opportunities in a resort-style sett"
"This is a lovely unit as are all units in The Optima. Its an absolutely gorgeous place to live with numerous amenities through out the development. This unit specifically features and expansive south facing view that showcases the extensive common area. The home features newer top end Kitchen Aid appliances as well as remote controlled shades that include blackout curtains. With the touch of a button your privacy is assured! The unit also has gorgeous travertine and bamboo flooring as well as mo"
"GORGEOUS GLASS WALLS showcase panoramic views of remarkable Optima Camel View Village's colorful courtyard promenade. Resort-style luxuries include ''green living'' architecture, on-site concierge, indoor & outdoor pools/spas, a fitness facility, boutiques, cafes, a dog park, racquetball/basketball courts, business centers and more! An extension of the 5-star community, you'll find fine finishes and designer details. Dual-pane windows let in a perfect amount of natural light, gently illuminating"
"Sought after 2 bed split floor plans. This unit is upgraded throughout . Upgraded knotty alder cabinetry- Wood flooring-Granite counter tops- Stainless appliances. The floor plan was customized by adding another pocket door to allow patio access through the bedroom. *Large den/office with art spot lighting. 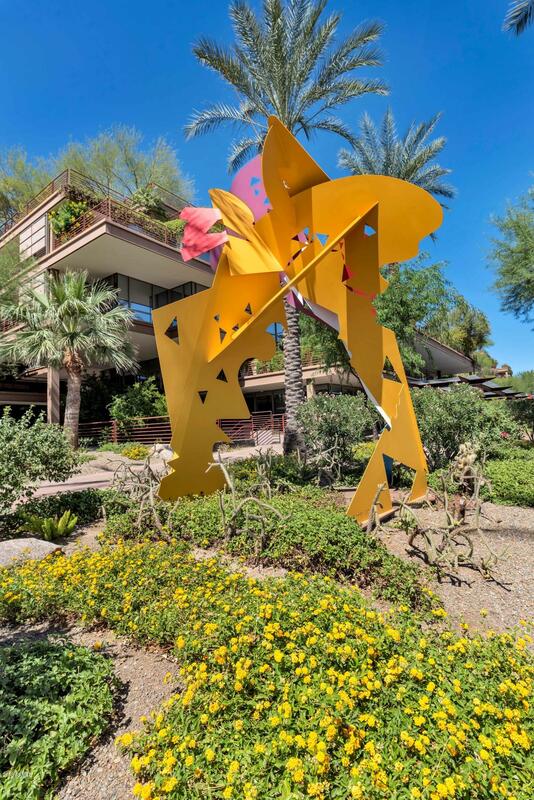 * Great Scottsdale views and surrounding terraces. *East facing so no hot afternoon sun! *Camelview Village is a fantastic community with a workout facility, indoor & outdoor pools, racquetba"
"PERFECT FOR INVESTOR. Can't be shown until October 1st of 2019, tenant will be out November 1st 2019. This unit has one of the best floor plans. The great room has glass across the back and sides providing a wonderful open feel with views of lush greenery. 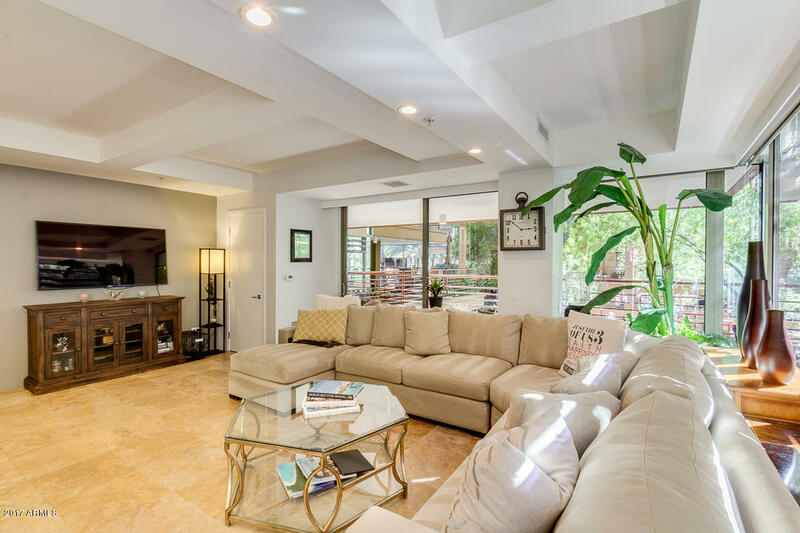 Granite counters, stainless steel appliances, neutral carpet and travertine floors throughout. Enjoy the lifestyle at Optima Camelview with access to state of the art fitness center. Indoor basketball and racquetball courts, indoor heated lap "
"This one of a kind ground floor luxury condo features beautiful custom finishes, unique lighting solutions, surround sound, & designer gas flame fireplace that includes a Nexus TV lift, Panasonic TV, custom granite top with custom tile & bronzed mirrors. 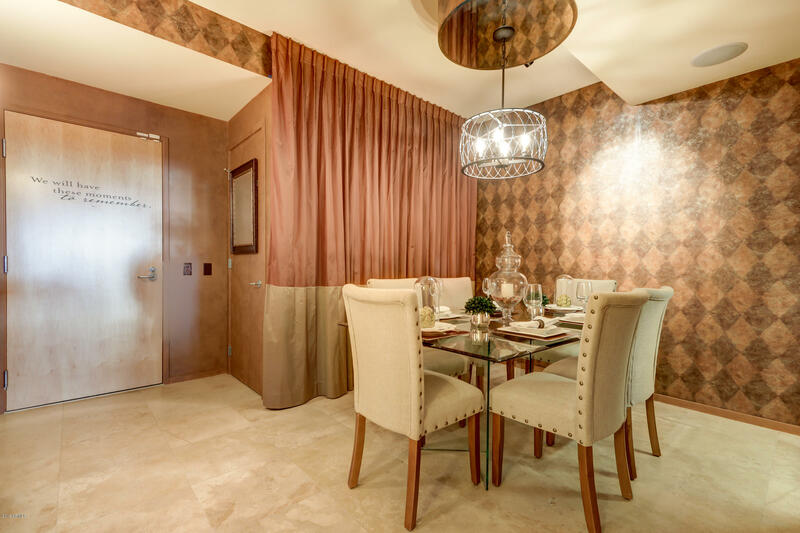 From the moment you walk in the door you will notice the designer custom wallpaper & designer faux painted finishings. 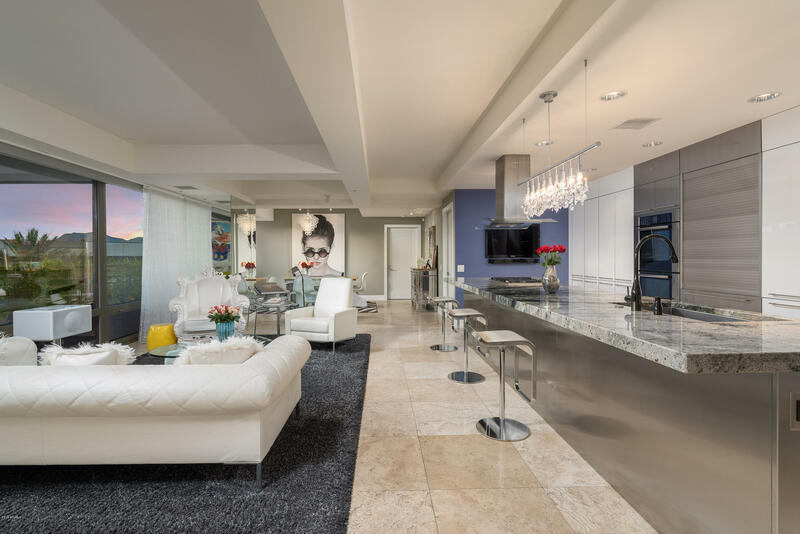 Custom lighting, including a Tiffany style chandelier, has been strategically placed throughout the condo to allow you to il"
"Downtown Scottsdale lifestyle is waiting for you at Optima Camelview Condominiums. 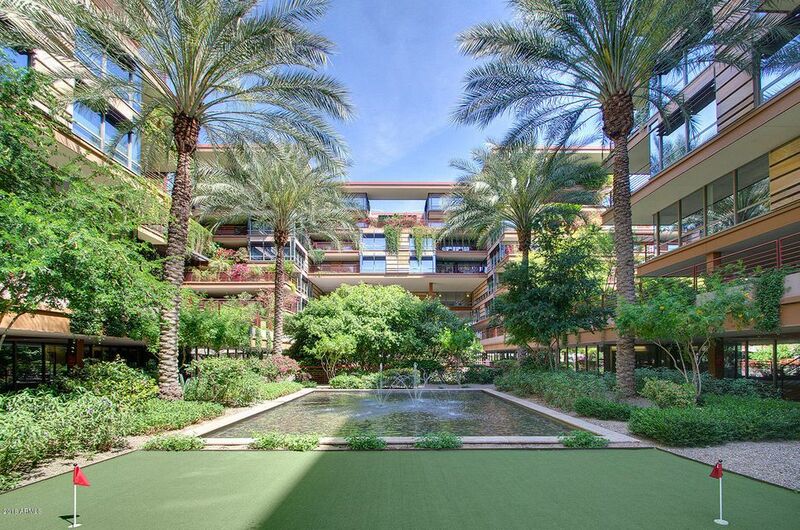 A fantastic price to live in the heart of Scottsdale's shopping, dining, nightlife. Walk out the gate of your generous size fenced lot & covered patio and over to your favorite restaurant and mall. This Condo with a yard is hard to come by. It feels secluded but it is in the middle of all that Scottsdale has to offer. This 2 bedroom , 2 bathroom has Travertine, granite, stainless steel, new carpet, new paint,"
"SPACIOUS OPEN FLOOR PLAN 2 BED 2 BATH AT SOUGHT AFTER OPTIMA CAMELVIEW! BEAUTIFUL OVERSIZED MASTER BEDROOM! 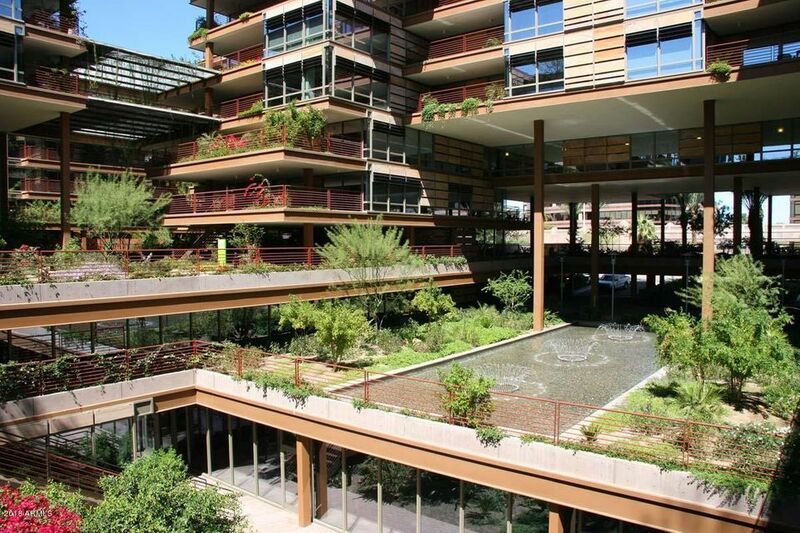 IN THE HEART OF OLD TOWN SCOTTSDALE, ENJOY CONTEMPORARY FLOOR TO CEILING GLASS, TONS OF NATURAL LIGHT AND VEGETATION IN SCOTTSDALE'S ONLY GREEN BUILDING. 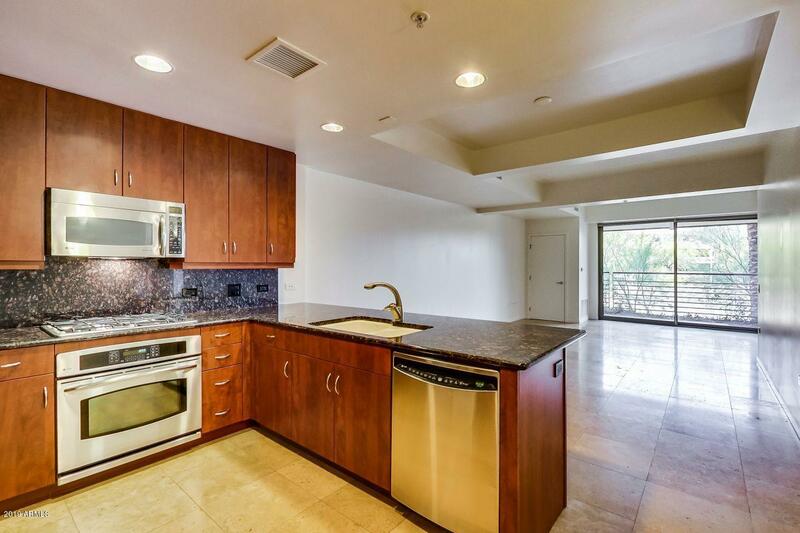 LUXURY FINISHES, STAINLESS APPLIANCES, BEAUTIFUL BALCONY, THIS PLACE HAS IT ALL. 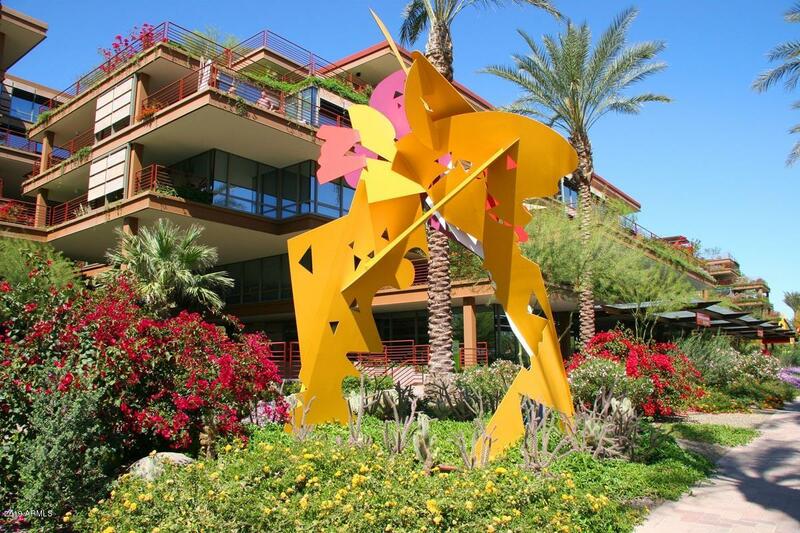 ENJOY BEING A 2 MIN WALK TO THE FAMOUS FASHION SQUARE MALL, WITH TONS OF WALKABLE ACCESS TO THE BEST SHOPPING, RESTAURANTS, NIGHTLIFE, AND ART IN ARIZONA"
"The Optima Camelview is a tropical oasis located just north of Old Town Scottsdale and Fashion Square Mall. It offers all of the amenities required for a refined urban living experience. 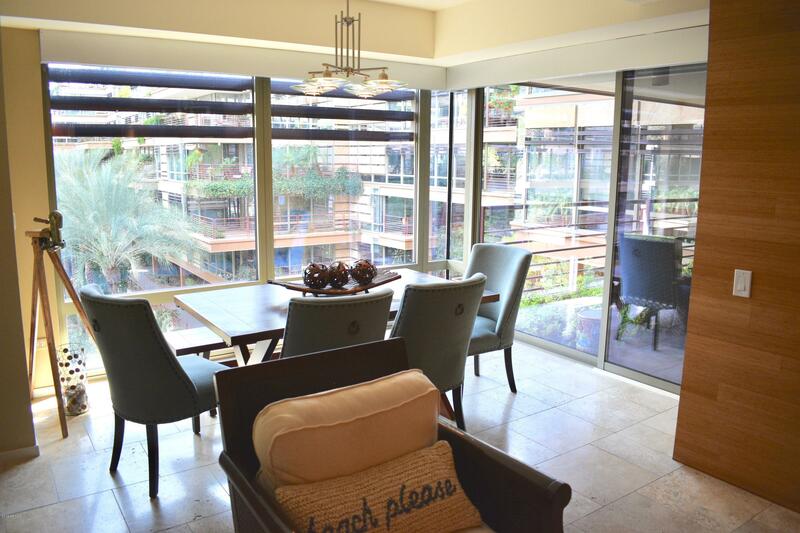 This third floor unit is a 2 bedroom, 2 bath + den, one car garage with a private covered balcony. Kitchen has granite counter tops and stainless steel appliances. 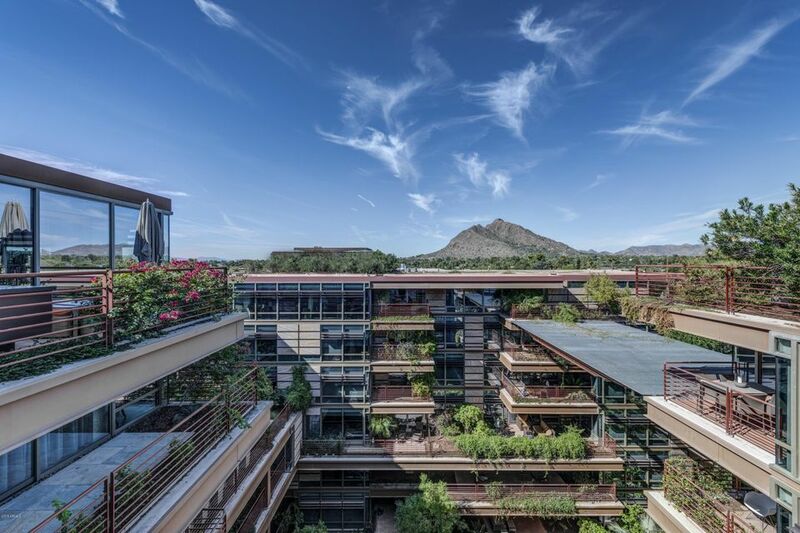 Amenities include 24,000 square foot gym, indoor and outdoor pools/spas, racquet and basketball court, men's and women's locker rooms with steam ro"
"Live in the heart of Downtown Scottsdale in the award winning Optima Camelview in the most highly amenitized community in Arizona. This is the ultimate urban home complete with 24 hour concierge a 24,000 sq ft fitness center, restaurants, a private dog park all just steps from your door in the heart of the city. This 2-bed, 2-bath home is perfect for those seeking privacy in Optima Camelview with north facing views."